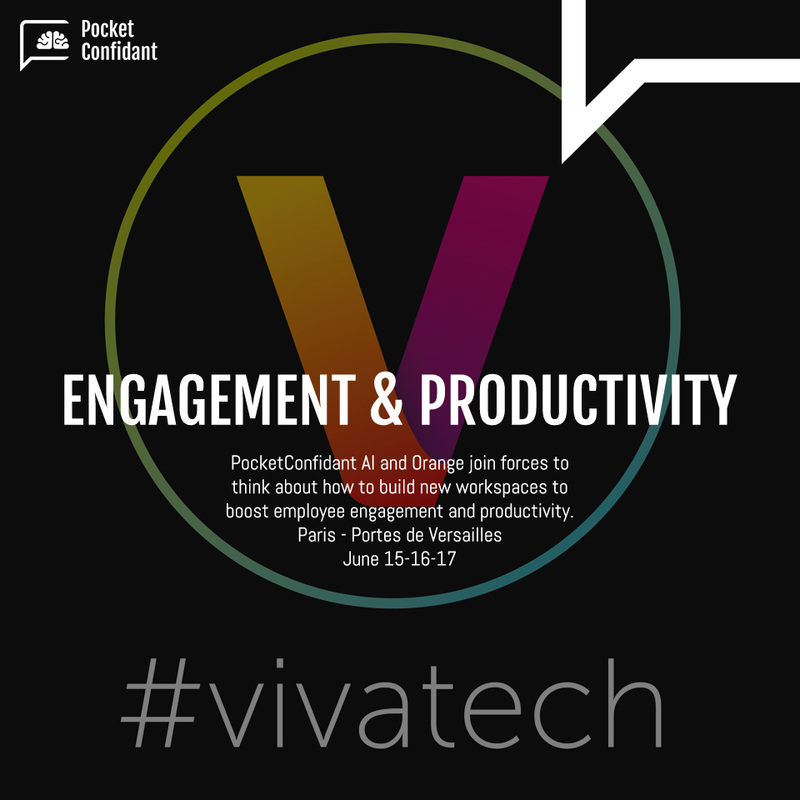 PocketConfidant AI and Orange join forces at VivaTechnology Paris 2017 to think about how to build new workspaces to boost employee engagement and productivity. When and where are you most engaged? What is more compelling than a private and purposeful conversation that engages your personal motivation? (A project you care about, a person you don’t understand, a vision that motivates you, a relationship you believe in, a conviction you hold etc.) It seems our inner space, our mental, emotional and physiological space is the first “place” we go to when considering any question or situation; if we want to create spaces that “work”, don’t we need to align first within our inner space before looking at what is happening outside? Before, or at least alongside what is happening in our city, society, work, office, lab, club, community, family etc. Technology can help us create the space and time to facilitate our own engagement by leveraging a competence we all share: language. Language is a core capacity we develop and use to express thoughts, ideas, and problems, and it is also a whole complex system that we consciously and unconsciously use to motivate, empower and at times limit ourselves too. Today, the digital world we inhabit has us communicating constantly with our phones, computers, connected furniture and tools, and these, as well as many other devices have become our new workspaces. This means we carry our workspace with us all day and everywhere we go. These work spaces, living spaces and social spaces are expanded many times when connected on the internet. So, how do we align our inner-workspace with the outer-workspace? How can we use our communication capabilities to remain motivated and productive? And how do we make sure our communication devices don’t decrease our motivation and creativity? Have you ever thought about a smart personal assistant that is trained to help you create the space and time for your thinking and activities, adapting to your emotional states, creativity, communication and your deepest aspirations? What if the first “workspace” we want to actively develop is our communication with ourselves and our conversations with others? What are your thoughts? Let’s meet and talk, be part of the solution! Follow us on Facebook and Twitter to get the latest information.